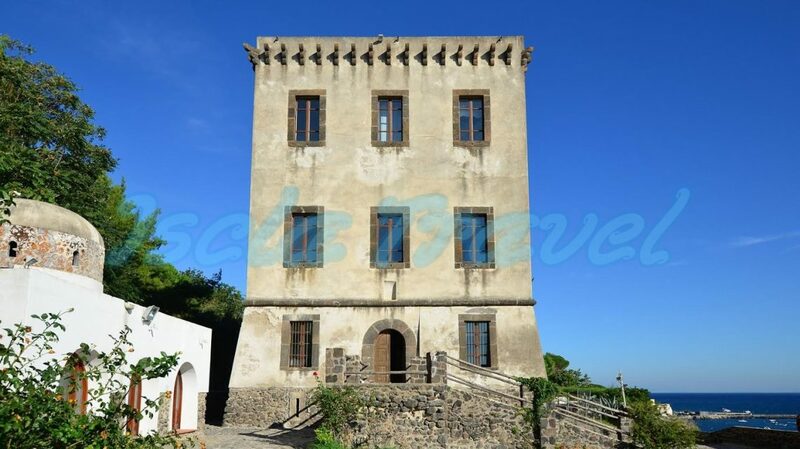 The Michelangelo’s Tower is a 16th-century palace built by the Guevara Family (Dukes of Bovino) located right next to the sea in a beautiful panoramic bay of Cartaromana, overlooking Ischia Ponte and Castello Aragonese. The Michelangelo’s Tower was built between the end of the 400th and the beginning of the 500th at the exact point where they could have the view of the Castle and their property for the hunting, the island of Vivara. The Guevara family no longer visited the tower after the plague epidemy, especially for the dissuasive proximity to the nearby cemetery. The Guevara, of Spanish origin, came to Alfonso d’Aragona to conquer Naples and obtained for their services the Ducato of Bovino, near Foggia. Legend says that Michelangelo Buonarroti lived in this tower for some time tied by Platonic love for Vittoria Colonna.. the wife of Spanish Marquis, Francesco Ferrante d’Avalos during the Spanish reign over the island. It is also believed that some of the frescoes in the tower are the work of Michelangelo but as yet there is no official documentation that attests to this as fact. Nowadays a lot of exhibitions of famous international artist have place in the Michelangelo Tower. Some of them stage outside the tower in its gorgeous garden overlooking the Aragonese Castle. The Ischitans instead call it Torre di Sant’Anna just because the tower is very close to the rocks of Sant’Anna. Open every day apart from Mondays. Do you want to visit "The Michelangelo’s Tower"?